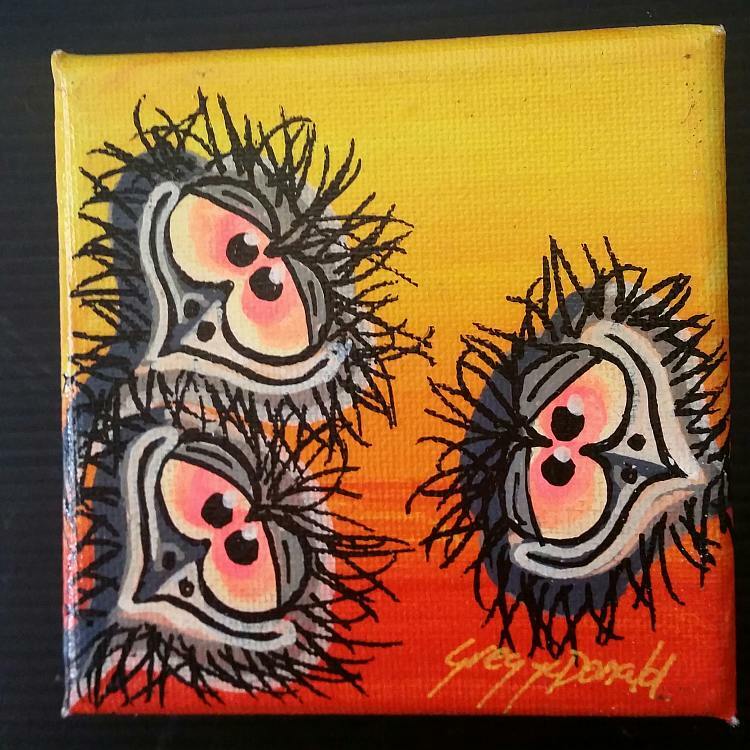 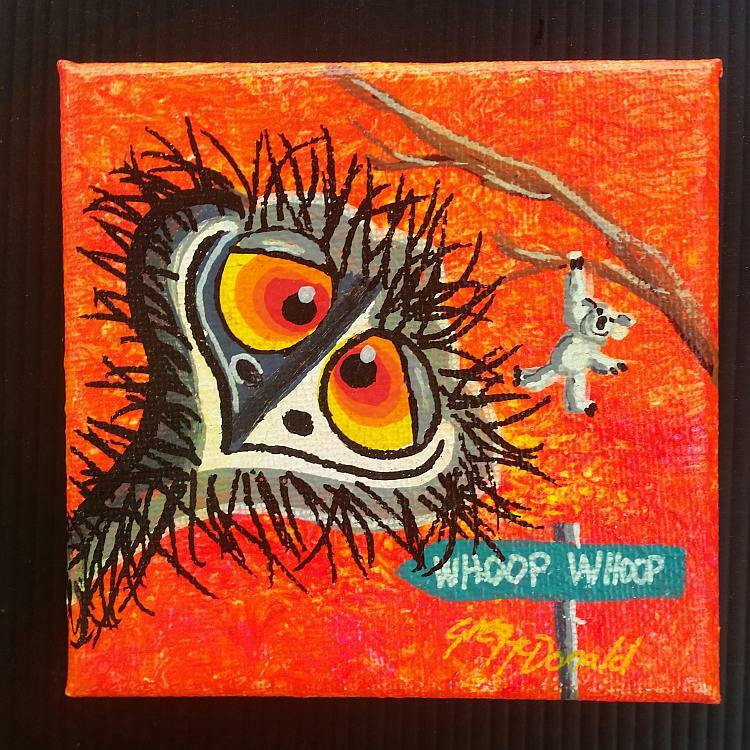 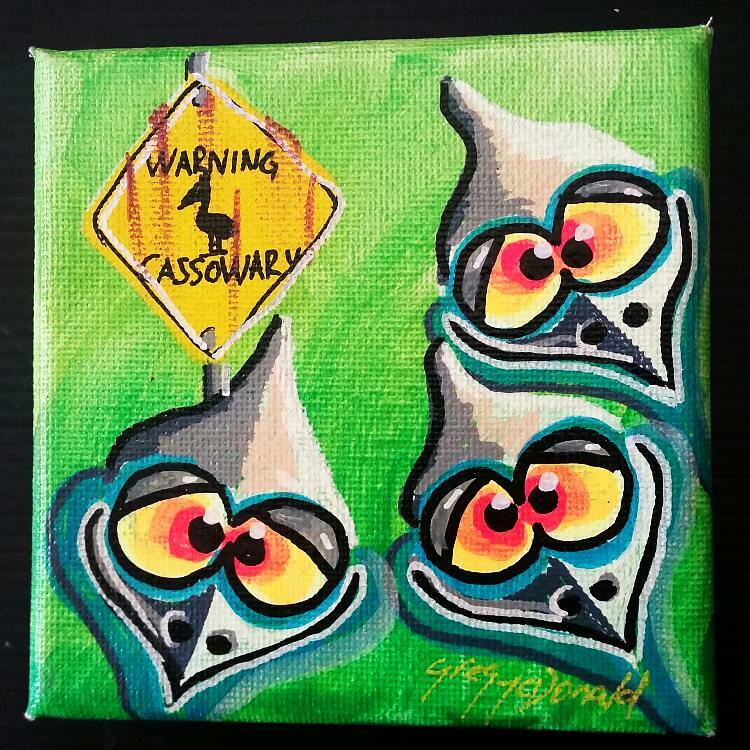 10cm x 10cm Australiana mini painting acrylic on canvas finished with a gloss laquar and magnets attached to the back of the original painting so you can attach it to your fridge. 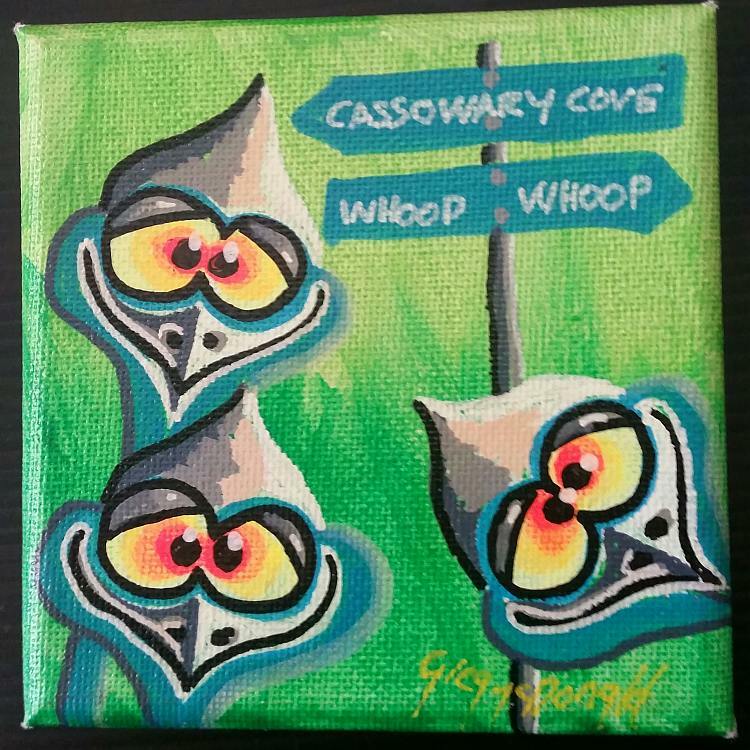 Featuring fluro eyes and bright green background. 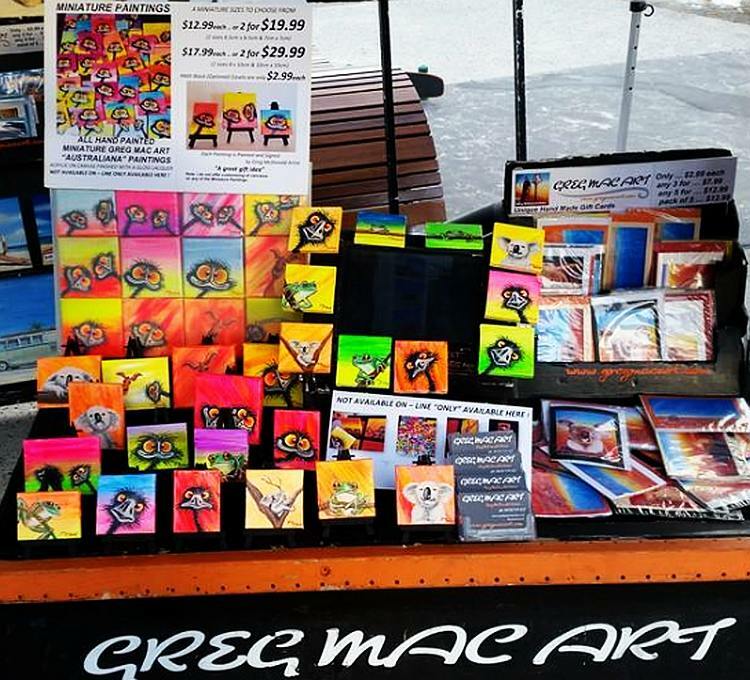 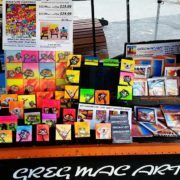 As Seen At Surfers Paradise Beachfront Markets! 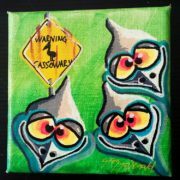 Magnets attached to the back of the original painting so you can attach it to your fridge. 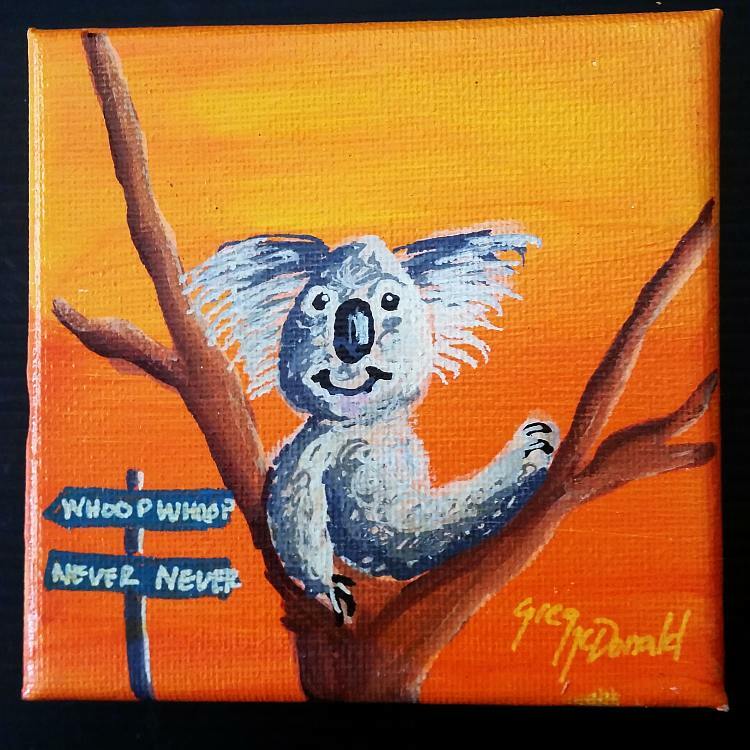 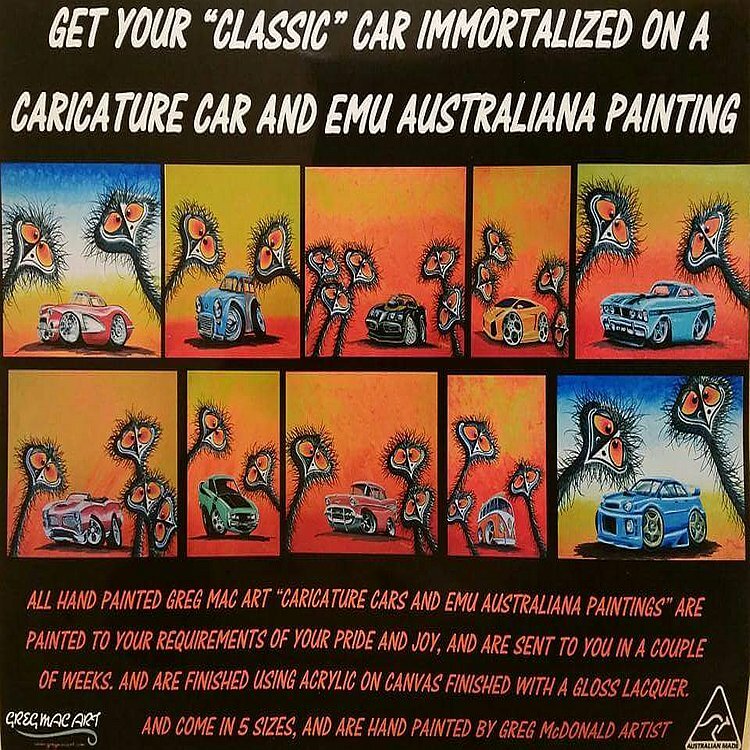 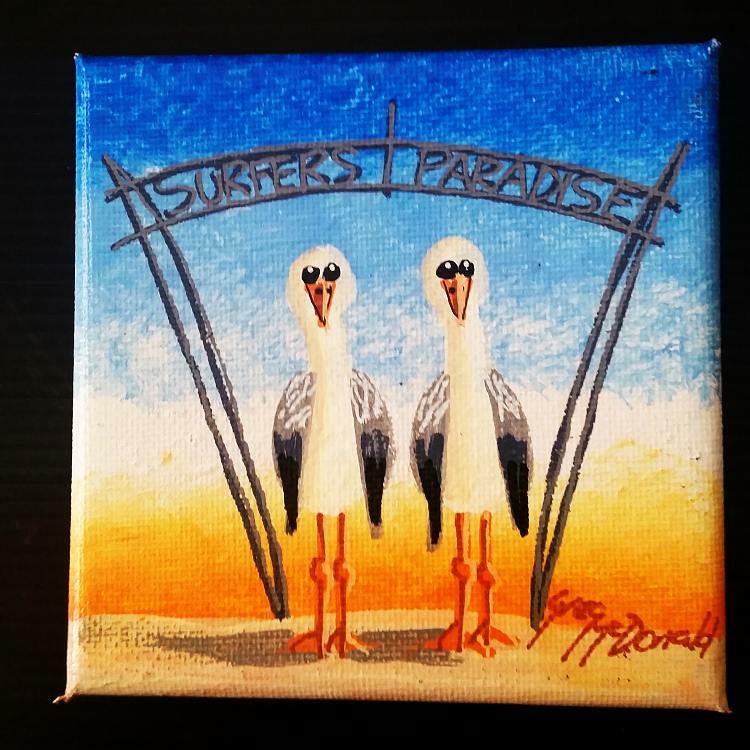 Order 6 Items Get a Free BONUS Mini Australiana Painting!